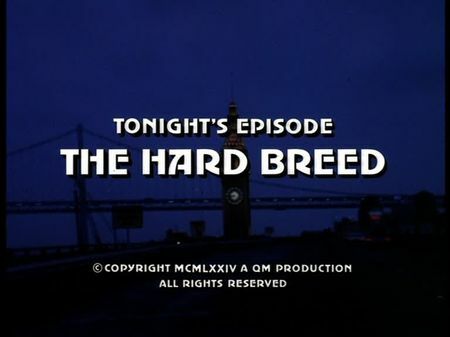 The screencaps for The Hard Breed were just added to the episodes' page. Clint Johnson, a rodeo star, dies in what appears to be an accident. Later on, one of the Johnson team's clowns discovers the rider's rope - which was cut almost halfway through before it broke, leaving the bull free to throw him. Homicide is called, and Mike and Steve learn that a complicated family background is going to make things even more difficult. Clint's younger brother, Ken, soon becomes one of the two main suspects as his ex-girlfriend Rosie - also a team member and horse rider - is now married to his older brother. Anyway, Mike and Steve are also setting a focus on the widow who may benefit from her husband's $50.000 life insurance. Following a dispute between Ken and his father Roy, an almost new situation is created when one of the two clowns - the one who had found the rider's rope cut – is also killed. An evidence is pointing at Ken again but a certain detail finally leads them to focus on someone they did not have on their list before. Most of this episode's filming was accomplished on location at Cow Palace. The rodeo riders and teams are having drinks and ribs in a restaurant dubbed 'China Man Bar' but I have not identified the original location yet; there is only a short outside view of the facade. We are also taken to the general aviation area of San Francisco International Airport where Ken Johnson has a private prop aircraft. Besides, we are introduced to Steve's current liaison, Maureen Monroe, a young and wealthy blue-eyed beauty who has got her apartment at the Pacific Heights Towers. Steve and Maureen are watching the bull riding on TV and we get that beautiful view down on Lafayette Park through the large apartment windows (no exterior filming of the building was made). A rather funny goof occured in a sequence when Roy Johnson observed Ken and Rosie hugging. 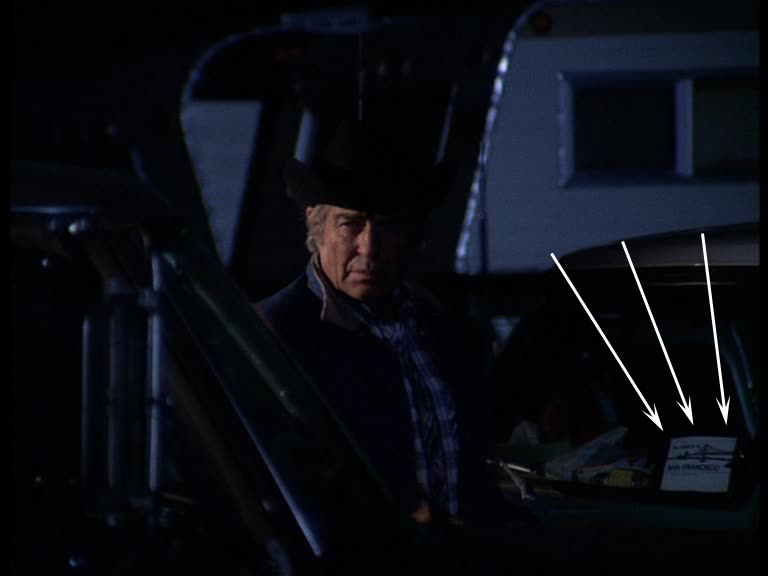 Actor Jim Davis was standing behind a car, and we can see a copy of an original 'The Streets of San Francisco' TV script right behind the car's windshield.